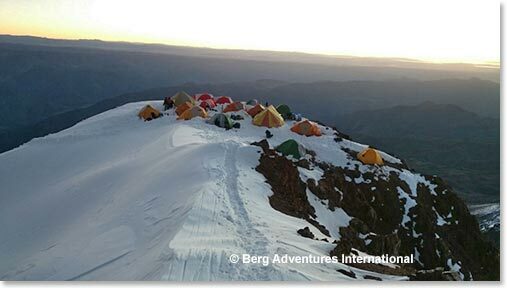 June 1, the team left at 10:30 am to walk up to High Camp with great weather. 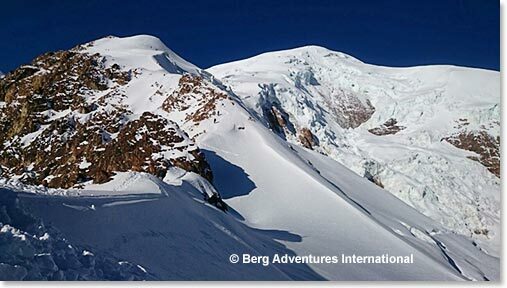 They encountered several students from French Institute studying the glacier; it was very busy yet quite interesting. 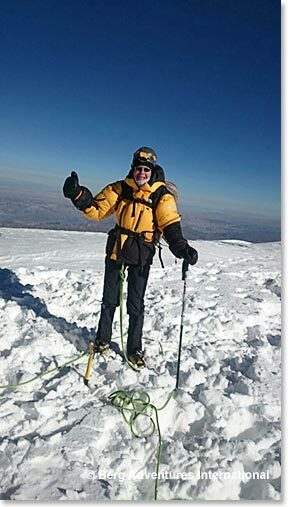 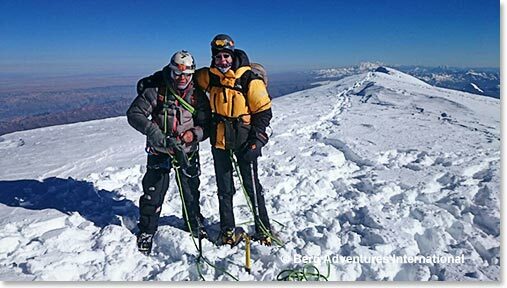 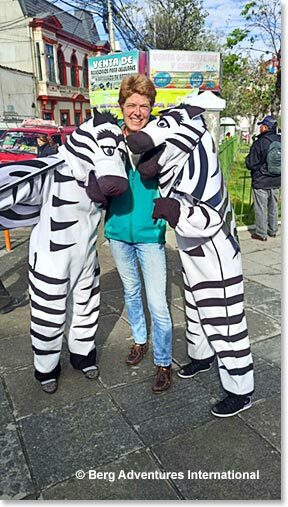 This morning they set out at 3:00 am in very windy, deep snow and cold conditions; they reached the summit of Illimani, at 9:00 am, Chris together with Osvaldo and Sergio. 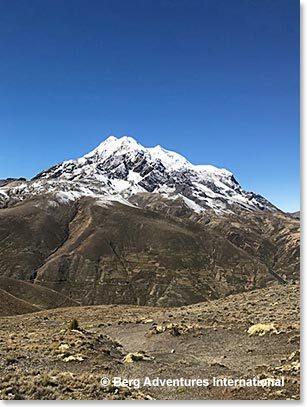 Illimani is the highest mountain in the Cordillera Real, altitude 21,122ft (6,438m). 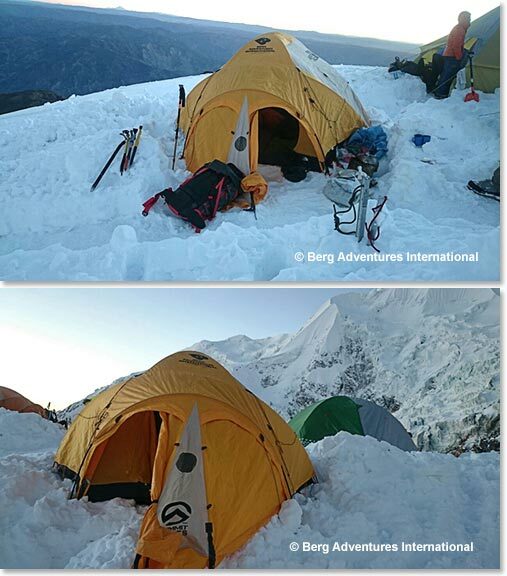 They are now back down and getting ready to return to La Paz after a well-deserved rest.